Caffè Terzi was born in 2001 as a coffee shop of the historic center of Bologna, and then became a small Gourmet company recognized for its uniqueness in offering only fresh, high quality coffee. The Huehuetenango Coffee from Guatemala, slow food presidium, is a wet-processed Arabica with fermentation, a treatment reserved only to the best grains. It has been selected for its delicate and aromatic sensory profile and for its low caffeine content. In order to preserve the intensity of their aroma, coffee beans are ground directly by G7 before production. 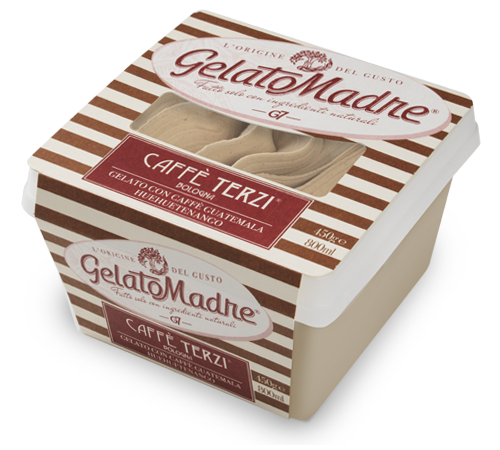 GelatoMadre Caffè Terzi with 100% Arabica Coffee from Guatemala variety Huehuetenango: only 100% carefully selected natural ingredients for a unique Gelato going back to the origin of taste.